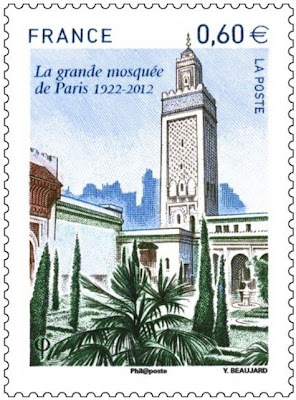 The French postal service will mark the 90th anniversary of the Paris Grand Mosque with a new stamp. The stamp will be launched Saturday with a ceremony at the Grand Mosque. A temporary post office will be set up at the mosque to sell the first day of issue stamps.